Cranston, RI – October 27, 2015. The Natasha Love Foundation is asked to share with our readers and opportunity to make nominations for our first-2015 Youth Inspiration of Love Artist and Leadership awards, for our young artist in Rhode Island. These awards are a representation of Natasha Love Gonsalves’ passion and legacy for the arts. I’m Rebecca, Natasha’s mom and founder of the foundation. It is my honor to carry on Natasha’s dreams and help young artists excel through mentoring and support. I have developed these awards to share them locally with the members of my community who show great strength artistically, and could use the financial assistance. A member of The Natasha Love Foundation will be presenting the awards. This coming year we hope to receive many nominations in the area of Visual Arts, Theatre, Dance, and Music, with representation of non-violence. 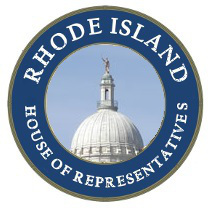 Nomination forms will be made available to Rhode Island Schools in October, and are due in the office by Friday, December 11, 2015. The Natasha Love Foundation Board of Directors will decide the winners based on the categories of Love, Peace, Unity, Awareness, and Inspiration of Love Leadership. Once the nominations are received, a confirmation with the interview/audition requirements will be sent to the nominees. The winners will receive a monetary award as well as a certificate. The award will be presented in January 2016. If you know a young artist who should be nominated?